A couple of weeks ago I ordered myself a new dual band handheld, a Yaesu FT-4XE. 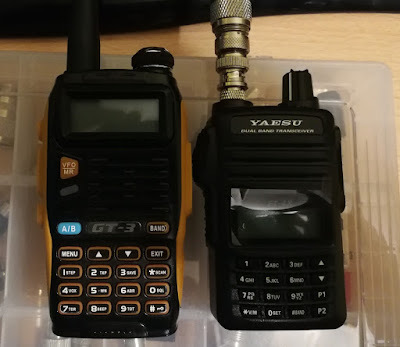 For the last 2 years, my main handheld transceiver had been a Baofeng GT-3, which cost only £30 but had some big problems, like being unable to use it anywhere there were other strong signals. On an external antenna at home it was unusable at VHF but even some locations out of doors strong broadcast signals were overloading it. When Yaesu's new range of cheaper FM only handhelds came out, (FT-65, FT-25, FT-4), I suspected that they could be nothing more than rebadged Baofeng type radios, especially with them having features like FM broadcast reception (but no other wideband coverage of airband etc.). 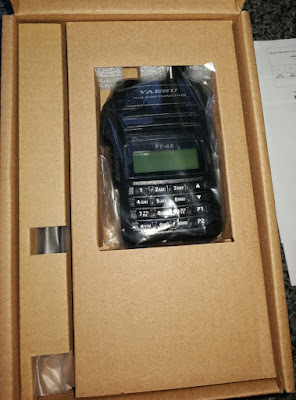 But after reading this review and it being the cheapest 'proper amateur' dual band radio by a long way, I decided to go for it. It's a small radio, and you could almost call it credit card sized, here it is hiding behind a card. Only a volume control on top, a tuning dial is one of the things you give up to save money. Using only buttons to move up and down frequency or through the memories is a pain unless you're going to be using the thing on a small number of channels. That and the slow scanning speed (6.5 channels per second, a whole 30% faster than the Baofeng's 5) are probably the things that make it still feel cheap. Some features may be limited by the transceiver on a chip RDA1846 which it shares with the Baofengs though. At least there are 200 memory channels for the radio to take a leisurely stroll through, compared with the Baofeng's 128. Yes, it does 6.25KHz channels, at least for the 'E' model (the other model may not, there is nothing in the PDF version of the manual about it, with 5 and 10KHz being the minimum in there). The real test of this radio's performance was connecting it to an outdoor antenna. I knew that the Baofeng could receive nothing on VHF when connected to my 6/2/70 tribander. The FT-4 received just fine, and gave realistic looking s-meter readings. There must be filtering to reject broadcast signals above (DAB) and below the receiver's 136-174MHz range, which is missing from the Baofeng. S-meter S9 is around -96dBm and S5 is about 10dB lower, giving appoximately 2.5dB per point. There is a 'S10' and 'S11' above this. The supplied antenna is about 16cm long, similar to other handhelds. For its size, it performed best near to the 144MHz amateur band compared to a few others of the same size I had around. On UHF though, it was actually worse than any other handheld antenna, which is surprising as I've found when testing handheld antennas at 430MHz there isn't very much difference between them, nowhere near as much as there is at VHF, and the higher frequency means a wider bandwidth. Around 165MHz the antenna was worse than a no-name model of the same length which I paid less than £2 for on AliExpress, but that's going to be the price to pay for more efficiency on frequency, nowhere near as bad as the Alinco DJ-G7's stock antenna though. Yaesu have made quite a good effort with the memory and tuning features of this radio, with 10 memory banks and 10 programmable band edges. 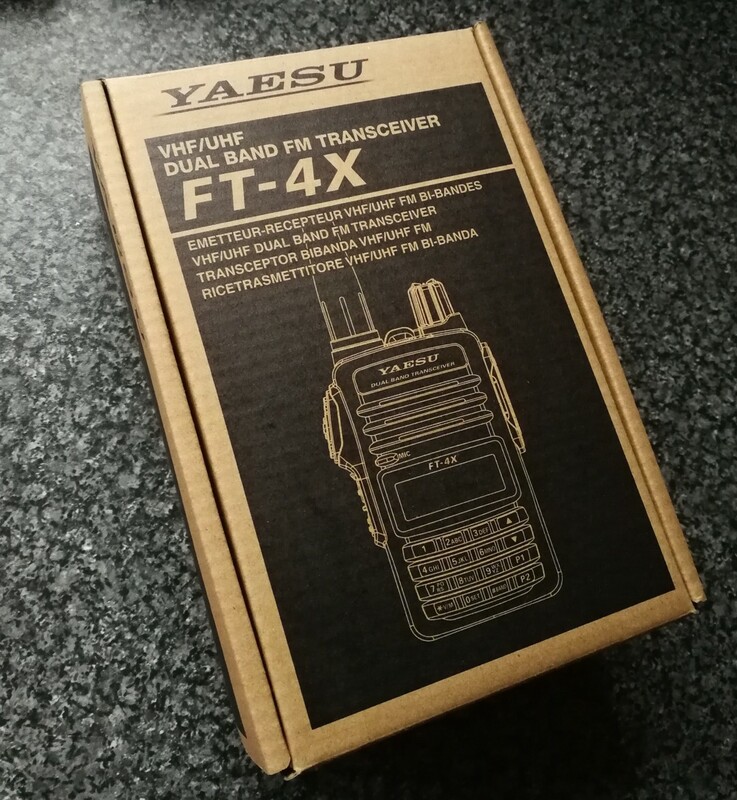 Then there are Yaesu specific features like Automatic Range Transponder System, so obviously not just some other brand being re-badged. 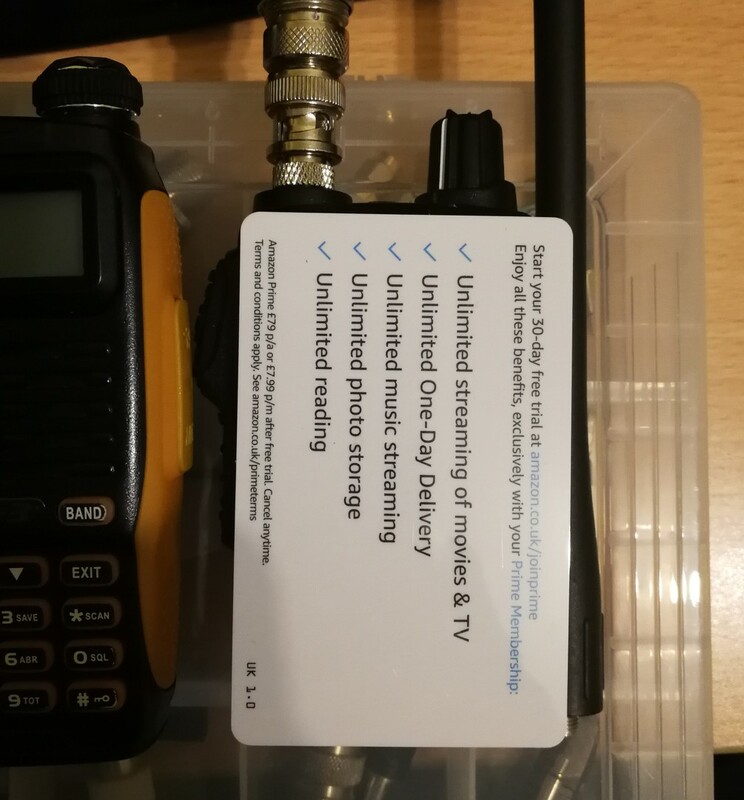 The programming software is free from Yaesu, quite basic, no facility to import/export or sort frequencies, but allows you to organise the memory banks. I found a video on YouTube showing the wiring of the programming cable (2-wire TTL, using R&S of a 3 pole 2.5mm jack plug) and made up a cable from an old FT-817 USB adaptor and a diode. So, I wasn't disappointed with this radio, it was clear what it's limits were going to be before buying it (no tuning dial, no extremely wide receive coverage, no digital modes) but it does improve on the £20-£40 range of handhelds which are so common these days. Unless you were going to use a handheld radio under very limited conditions (a local repeater which could be worked on a short antenna or indoors, monitoring a few channels rather than tying up a more expensive radio etc. ), I'd definitely go for this rather than trying to save a few quid. 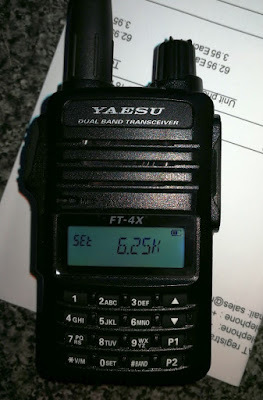 What about the FT-65? It's about another £25, bigger battery but is the performance going to be the same?